CDC and public health and regulatory officials in several states are investigating a multistate outbreak of multidrug-resistant Salmonella infections linked to raw chicken products. The U.S. Department of Agriculture’s Food Safety and Inspection Service (USDA-FSIS) is monitoring the outbreak. Ninety-two people infected with the outbreak strain of Salmonella Infantis have been reported from 29 states including Massachusetts. Twenty-one people have been hospitalized, and no deaths have been reported. 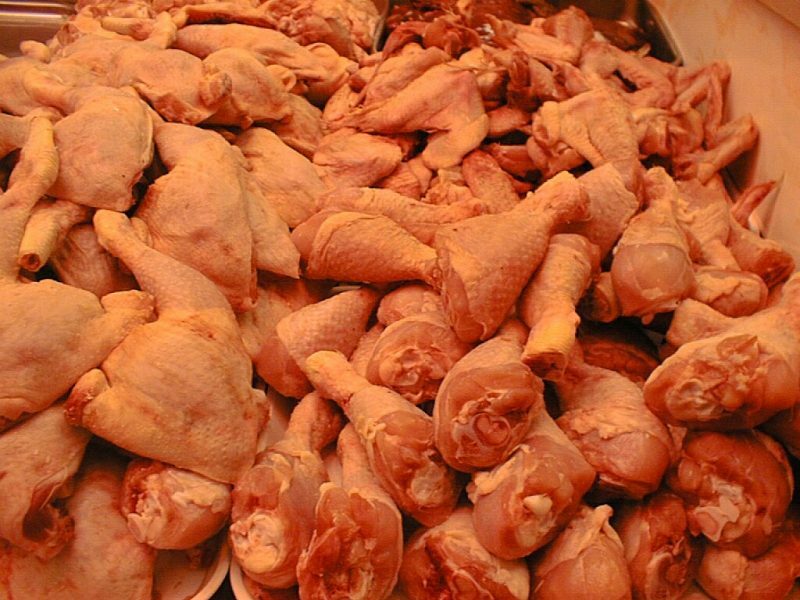 Epidemiologic and laboratory evidence indicates that many types of raw chicken products from a variety of sources are contaminated with Salmonella Infantis and are making people sick. In interviews, ill people report eating different types and brands of chicken products purchased from many different locations. The outbreak strain has been identified in samples taken from raw chicken pet food, raw chicken products, and live chickens. Antibiotic resistance testing conducted by CDC on Salmonella bacteria isolated from ill people shows that the outbreak strain is resistant to multiple antibiotics. Read the Advice to Clinicians. A single, common supplier of raw chicken products or of live chickens has not been identified. The outbreak strain of Salmonella Infantis is present in live chickens and in many types of raw chicken products, indicating it might be widespread in the chicken industry. CDC and USDA-FSIS have shared this information with representatives from the chicken industry and asked about steps that they may be taking to reduce Salmonella contamination. Always handle raw chicken carefully and cook it thoroughly to prevent food poisoning. This outbreak is a reminder that raw chicken can have germs that spread around food preparation areas and make you sick. CDC is not advising that consumers avoid eating properly cooked chicken, or that retailers stop selling raw chicken products. Wash your hands. Salmonella infections can spread from one person to another if hands have Salmonella germs on them. Wash hands before and after preparing or eating food, after contact with animals, and after using the restroom or changing diapers. Cook raw chicken thoroughly to kill harmful germs. Chicken breasts, whole chickens, and ground poultry, including chicken burgers and chicken sausage, should always be cooked to an internal temperature of 165°F to kill harmful germs. Leftovers should be reheated to 165°F. Use a food thermometer to check, and place it in the thickest part of the food. Don’t spread germs from raw chicken around food preparation areas. Washing raw poultry before cooking is not recommended. Germs in raw chicken can spread to other foods and kitchen surfaces. Thoroughly wash hands, counters, cutting boards, and utensils with warm, soapy water after they touch raw chicken. Use a separate cutting board for raw chicken and other raw meats if possible. CDC will update the advice to consumers and retailers if more information comes available, such as a supplier or type of raw chicken product linked to illness. Illustration of a person with stomach pain.